Introducing the X-SHOCK, and all new state-of-the-art waterproof true wireless earphone with safety built in mind. Along with the longest playtime of any wireless earphone on the market, safety LED’s ensure that you will be able to enjoy evening workouts safely. The X-SHOCK provides you with the ultimate listening experience. The true wireless design keeps you connected to all your mobile’s features wirelessly through the X-SHOCK. The X-SHOCK’s charging case also serves as a power bank with a 3,000mAh battery, supporting up to 60 hours of playtime. Even if your mobile is running out of battery, it will give your mobile phone one full charge if needed. The X-SHOCK provides you functionality control of your mobile device, such as answering calls, controlling your playlists. The advanced connectivity allows you to stay engaged with the outside world while working out. 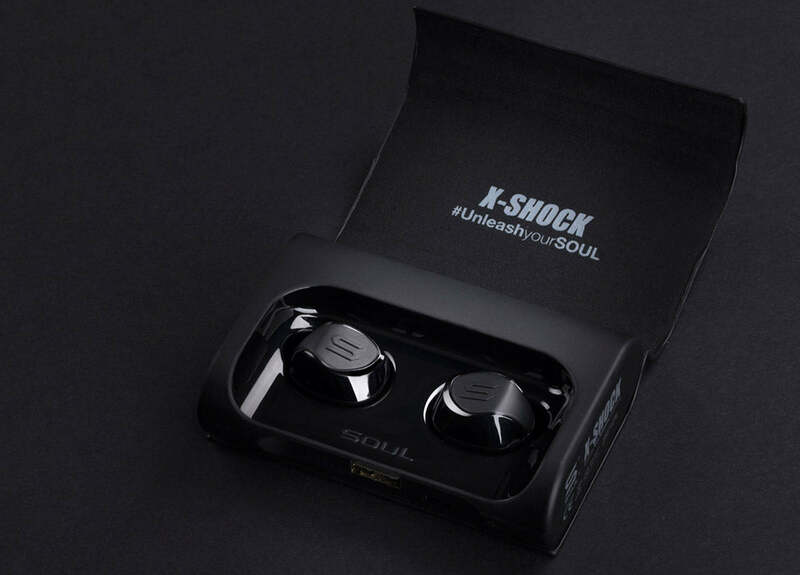 Ergonomic design enable the X-SHOCK to securely fit into your ears, and creates a natural noise isolation to give add bass to your music. Soul's engineering team developing the X-SHOCK with a more complex idea, the double-injection technology. This enables the X-SHOCK to be submerged in water for up to 30 minutes, ensuring it can withstand extreme sweat and weather conditions.